Gunyoung Kim was born and raised in Seoul, South Korea. 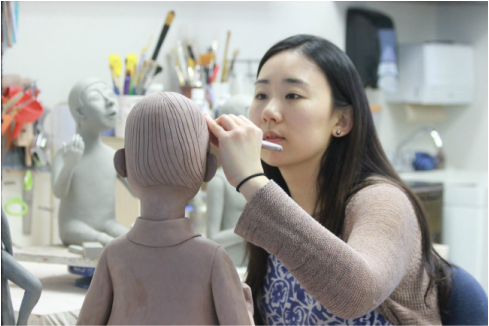 She received her Bachelors of Fine Art in Ceramics from Kook-Min University in Korea in 2010 and her MFA from The Ohio State University in 2014 where she developed her studio practice and gained teaching experience. After graduate school, Gunyoung was the long-term ceramic artist-in-residence at Lawrence Art Center in Lawrence, Kansas. She also completed short-term residencies at different places including Archie Bray Foundation in Helena, MT and Red lodge clay center in Red lodge MT. Gunyoung was selected as one of the 2016 Ceramics Monthly Emerging Artists and she received the Individual Excellence Award from the Ohio Arts Council in 2017. She is currently a full-time studio artist in Ohio.